Win 'Parks and Recreation' on DVD! Win ‘Parks and Recreation’ on DVD! Posted May 22, 2014 by William Martin & filed under Win. 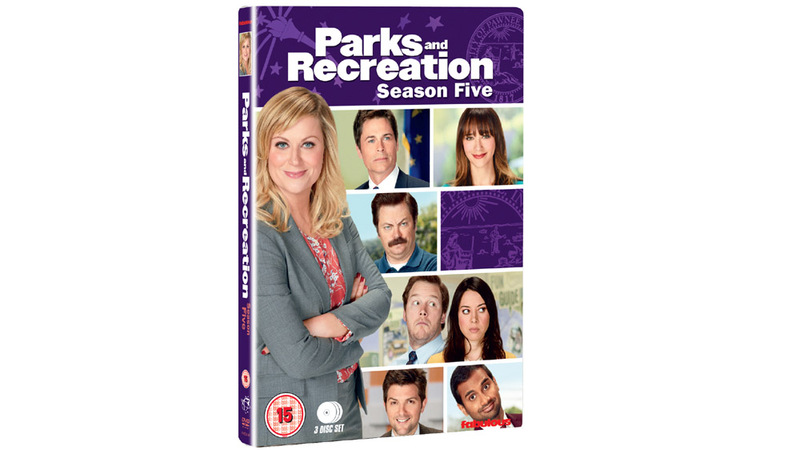 To celebrate the release of Parks and Recreation Season 5 on DVD on Monday 19 May, we’ve got DVDs to give away to three of our Twitter followers! Other guest stars include Jason Schwartzman (Moonrise Kingdom) & Lucy Lawless (Xena, Spartacus). Plus Rob Lowe reprises his role at City Manager Chris Traeger. Leslie learns that city politics is nothing like the Parks department as she tackles issues such as saving a local mini-golf park and fixing Pawnee’s quaint, but ridiculously outdated, laws. And life outside the office is just as wild, as she and Ben (Adam Scott – Step Brothers) try to plan their wedding amidst the usual chaos of their friends’ lives. This competition has closed. The winners are Lauren Chaplin (@ Laurenchaplin1) from Northwood Hills, Claire Mudie (@clairemu) from Isle of Man and Chirag Patel (@chigobigoo) from London.